Not enough room to swing a cat, or too lazy to walk a dog, perhaps a fish or bird will be the answer! Need daily feeding and in order to keep the tank in good condition it needs continual attention. Can be kept in indoor aquariums or outdoor ponds but they will not thrive in a bowl. Suitable for all ages so long as there is a responsible adult to look after the tank. Tanks and ponds can be quite expensive to set up but, thereafter, costs are minimal. 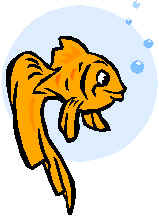 The purchase price of fish varies greatly depending on which varieties are chosen, tropical fish can be very expensive. Birds need to be fed every day and their cage cleaned at least twice a week. Many are able to amuse themselves but parrots like human company. They should be kept in as big a cage or aviary as possible to give them room to exercise their wings. This should be in a draught free, warm environment. 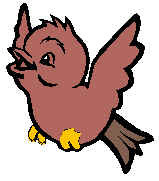 Birds will not usually talk if kept with other birds, however, it is a very lonely existence on their own. Costs vary according to type of bird and cage. A budgie won't cost much nor will a small cage, but more exotic varieties could be costly as can flight cages and aviaries.